<! 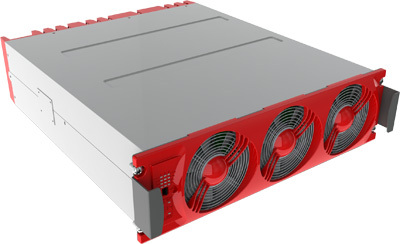 [endif]--> AGIL is a compact and scalable modular UPS providing a pure sine wave AC supply. The “Twin Sine Innovation” (TSI) technology ensures independent “hot pluggable and hot swap” modules that include virtually all functions of a conventional UPS (AC/DC, DC/AC, battery charger, Static Switch), eliminating all potential single points of failure. Up to 32 modules can be installed in parallel to bring the full output power potential to 640 kVA. 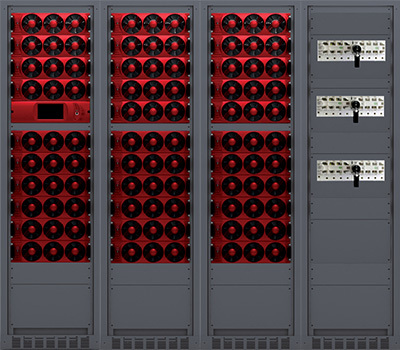 • All traditional data centers applications that require flexibility in their power needs. • But also a large variety of applications where a multidirectional energy converter is required. With an Output Power between 20kW and 60kW, and an autonomy of minimum 10 minutes, the 800mm x 600mm cabinet of the Agil 60 is one of the most compact modular UPS on the market. • Agil 160, allowing up to 160kVA in just one cabinet! The Agil 160 will cover your output power needs bewteen 20kW and 160kW in just one 600m x 800mm cabinet.